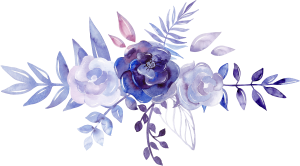 This blog post contains Affiliate links which means I may earn commission from the service provider for any referrals at no extra cost to yourself. I only recommend service providers that I use personally and from where I have received valuable reliable service. 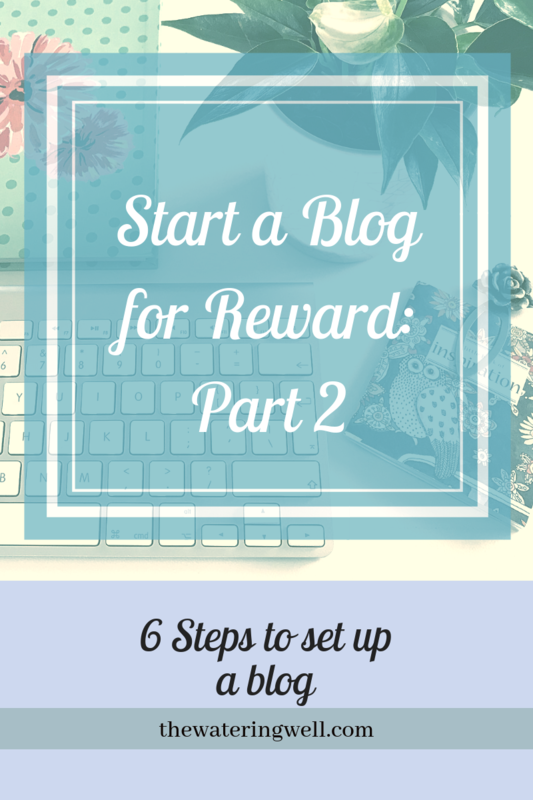 By now you should have completed Part 1 of How to start a blog for reward. It is crucial to have a good idea of what your blog is about before you outlay time and finance. Now comes the more technical part but bear with me, we can do this one step at a time. You need a domain name in order to set up a blog. A domain name is simply the address where people can come and find you on the internet, similar to your home address. In the previous post, you would have checked to see if your domain name is available. In order to set up your blog, you are required to register your domain. There are several sites that do this but GoDaddy is one of the leading registrars. Most hosts will register a domain too, so you might want to check that out first and compare the cost difference. Whether you go with an independent registrar or your host is entirely up to you. GoDaddy is usually cheaper and they often run special discounts which you can look out for. The only real disadvantage is that it is a separate account to monitor for renewal. They should send you a reminder but don’t rely on that only. The last thing you want is to lose your domain because you forgot to renew it. (I have known this to happen.) The advantage of registering through your host is that you have one account to monitor. Should you register your domain name separate from your host, you will need to ‘point’ the domain to the host service provider. Your host should help you do this. Siteground were great in helping me with this aspect. It is a fairly simple process. GoDaddy has a user-friendly site and a helpline should you get stuck. If you want further info on what a domain name is all about, GoDaddy has plenty of info on their website, so you can find out there. There are a few questions you will have to answer but everything is explained on the site. I advise taking the extra Domain Privacy Protection. In this day and age, you can’t be too careful. By protecting your privacy, other people can only get hold of you via the registrar and you will not be bombarded with unsolicited mail. Make a note for renewal because if it expires you could well lose your domain and all the hard work you have put into promoting yourself will be lost. On that note, you might want to start a spreadsheet of subscriptions and when they are due for renewal. Yay! So now you have a name. Next, you need a host for your blog. This is one area where I advise you to invest a little extra. I have heard of many sad stories where people have opted for a cheaper option and have ended up losing years of work because of a security breach. The internet is a scrupulous zone and hackers are becoming cleverer by the day. Opt for a reliable service that offers regular back up and security. If you are wanting to merely write for a circle of friends, you can use a free platform, but as with all things, you get what you pay for. I made the mistake of going with a free platform (Blogger) because I didn’t know any better. I soon realized I couldn’t do any of the things I wanted to and I couldn’t monetize it either. It was a major issue to move my blog to a paid site, so my advice is to go for the real deal upfront. It will save you a major headache later. With a free site, your domain will have an extra address prefix (e.g. mydomain.blogspot.com) which makes it look bulky and unprofessional, not ideal if you want to run your blog as a business. Something else to consider is that with a paid site, you own what you create, with a free platform you don’t. 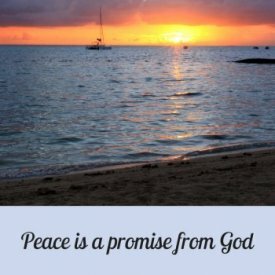 Security is most important for peace of mind. 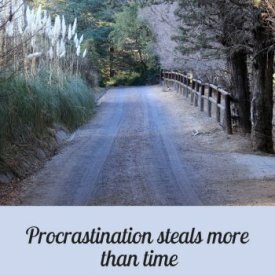 When I first started out with my blog, I made a few costly mistakes out of pure ignorance. I could only use the pretty theme I purchased with a particular site host, so I duly signed up with them. Unfortunately, it was only when I tried to make some changes to my blog did I realize my error. There was little to no support or assistance and nobody seemed to be able to help. I also learned that some of the things I wanted to do with my blog, could not be done. Meanwhile, I had heard via my FB groups and online forums that Siteground came highly recommended and so I opted to cut my losses and start all over again. What a mission! There are many hosting companies but I can personally vouch for Siteground. These people were amazing and their support is phenomenal. They have a 24 helpline and they are genuinely on hand 24/7 to help. They helped me with the migration of my blog and the setup of WordPress. I am quite embarrassed when I think back to how green and ignorant I was in the beginning but they were always on hand to patiently take me through the jungle of blogging jargon that was all new to me. They also have numerous tutorials available which you are free to use at any time. I am hugely indebted to these committed people and if it was not for them, I probably would have given up. My own experience is the reason I am linked to them today as an affiliate because I confidently recommend them at every opportunity. My site has never gone down in 2 years which is important when you are running an online business. I have never had security issues and the service includes a daily backup. Visit the Siteground website to find out more about their various packages and what they can offer you. Costs vary but with Siteground they have plans that start from a few dollars annually. There is so much you can do with WP. It has a choice of plugins which means you don’t have to know the complicated code for everything you want to do. WordPress can take a little time to master but there are loads of free tutorials online to help you out. By now you should have a fairly good idea of how you want your blog to look, so next, you will need a theme to bring it all together. This is the interior decor part of building your new ‘home’. Search Pinterest for some themes and look at a few suppliers of themes to see what they offer. Remember less is often more and a simplistic look gives your visitors a more user-friendly experience. I cannot emphasize the importance of having a professional looking functioning, user-friendly site for your blog if you want it to be successful. This is probably the most expensive route. Consider this if you have the budget, find the technical aspect too challenging or plan to have a very complicated website. If you do decide to employ a professional, go with a reputable service and ask for references before you outlay any money. Unfortunately, there are many chancers out there. 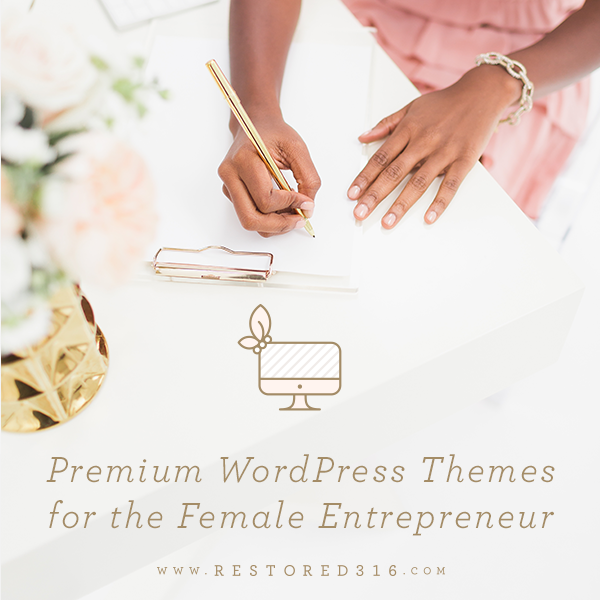 WordPress does have some themes including free options. I found them limited and the tutorial support insufficient for my needs, but have a look because you may find exactly what you want. 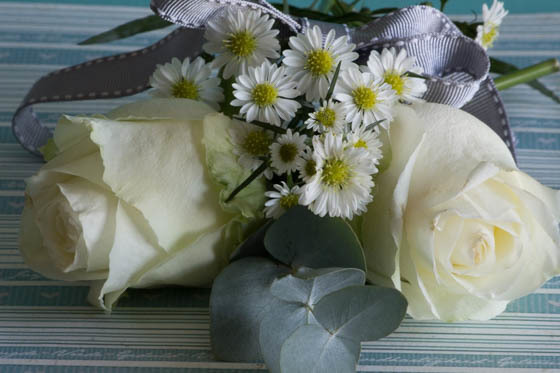 If you want a fancier or specific design, search for a theme that is commercially available. Pinterest is an excellent source for this. 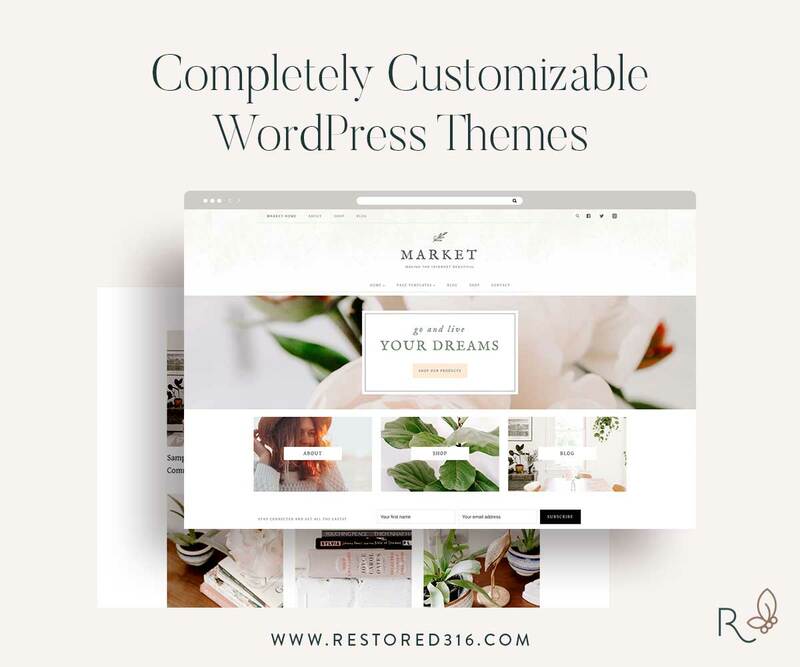 My theme is purchased from Restored316 and I can personally, highly recommend them. As a complete newbie that had been struggling to make sense of all this new technical information, Restored316 was a life saver. They have a choice of beautiful feminine themes, each with comprehensive and specific instructions for download and implementation. I mean, even I could follow. Each theme is fully customizable which means you can make it any color to fit your branding and design. The one thing I fully appreciate with Restored316 is their service and support system. 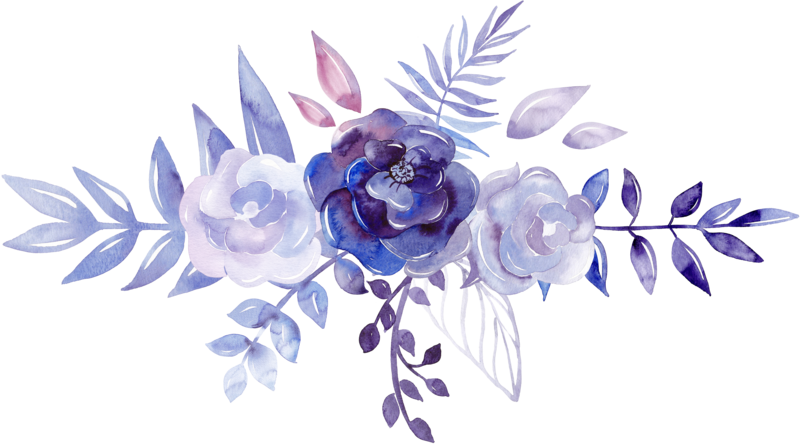 You can submit a ticket on the site if you are stuck or ask for advice on their FB page which you become a part of when you purchase your theme. They are always ahead of their game and keep you posted on any changes which may affect your blog, such as WordPress updates. 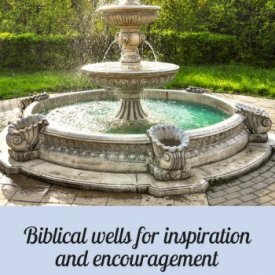 Follow the link here to check out their beautiful designs. 5. What are WP plugins? Akismet Block Top Spammers and spam comments. Who wants to deal with unnecessary spam? Yoast SEO Search Engine Optimization is covered in the next module. This plugin lets you know how well you are doing and how you can improve. Ultimate Social media icons There are plenty of options depending on what design you want for the buttons on your screen. WP super cache or W3 Total Cache to speed up your site. You can lose potential customers if your site loads too slowly. The final step at this stage is to find an email service provider. 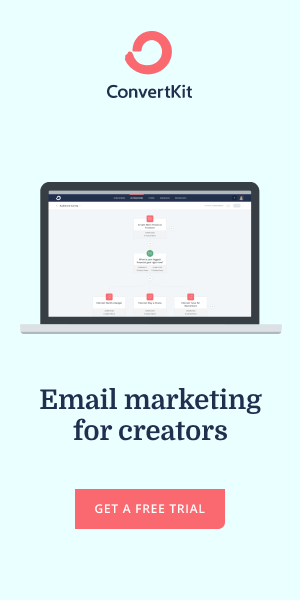 Your email service provider sends out emails to your loyal subscribers which is a crucial part of building your blog. We will cover this more in Part 3. Once again this is an important part of your business so make sure you go with a reputable service provider. Setting up a blog does take time and can be overwhelming. Take it slowly, one step at a time and don’t hesitate to consult any of the helplines I have recommended for assistance. 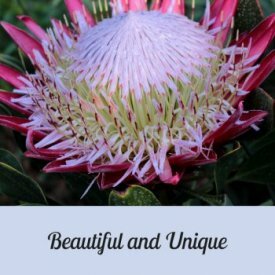 Before you know it, you will have a beautiful blog you can be proud of. 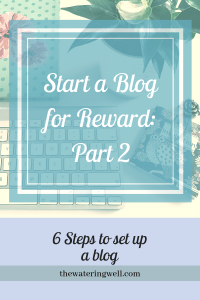 Look out for Part 3 in the series on “Setting up a blog for reward” where we will cover how to promote and market your blog.